U.S President Donald Trump’s possible plans for a partial withdrawal of U.S. troops from Afghanistan at a time when U.S. Special Envoy Zalmay Khalilzad is working to negotiate a peace settlement with the Taliban has produced mixed feelings among Afghans. Some consider the settlement and withdrawal a positive step toward ending the war; others fear that the departure of U.S. forces may lead to anarchy and factional fighting once again. A hasty withdrawal, leaving Afghanistan to the mercy of regional tides, will take the country back to the 1990s era when factional fighting gave birth to the Taliban and provided a base for al-Qaeda. Gradual withdrawal after a settlement under a planned strategy that ensures a sustainable, all-inclusive government on the ground would protect the gains of the past 17 years and ensure the country does not fall back into the hands of those with ill-intentions and does not become a battleground for regional powers. Reports about a U.S. troop withdrawal caught many by surprise, including Afghan leaders who are preparing for the 2019 presidential elections. The reports added to the already uncertain conditions on the ground where peace negotiations with the Taliban are underway and the results of October’s parliamentary elections are subject of harsh dispute among different groups. Meanwhile, the country is already suffering from increased poverty, weak government institutions, ethnic divisions, a sluggish economy, rampant corruption, Taliban control of key areas, a worsening security situation, diminishing government control in rural areas, and illegal migration of thousands of young Afghans to Europe and other countries. A settlement with the Taliban would bring a major resistance force into the government structure, but other groups such as the Islamic State (ISIS) will remain a threat to Afghanistan and world security. ISIS can easily establish a greater existence in the country, taking advantage of the vacuum left by the withdrawal of forces in the absence of a strong political setup. There are also indications that the United States may delegate Afghan affairs to regional countries in return for help in bringing the Taliban to the negotiating table. 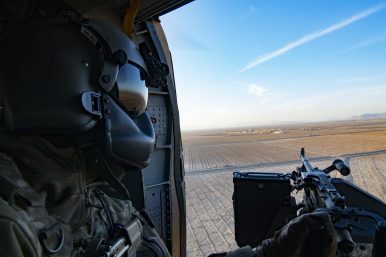 Regional countries, taking advantage of the opportunity, are pushing for a full withdrawal of international troops so they can exert their influence over Afghanistan. If that happens, as seemingly it will, the sacrifices and billions of dollars spent in Afghanistan will be a waste. Afghanistan would return to its pre-9/11 condition or possibly worse. Serious mistakes, both political and military, were made in the past 17 years that prevented Afghanistan from stabilizing. Learning from those mistakes, a comprehensive strategy that addresses future governance and continued international support must be prepared and implemented parallel to peace negotiations with the Taliban. The strategy accompanied by an action plan must put the events taking place in proper order and move forward with caution. Forces withdrawal, peace negotiations, the upcoming presidential elections, and ensuring a self-reliant government in the country after the withdrawal must be part of the strategy. Upcoming presidential elections, already postponed by at least three months, must be further delayed as they may lead to disagreements and internal differences among different groups at a time of uncertainty. Afghanistan has had several presidential and parliamentary elections since 2001. Each election was marked by widespread fraud and discontent. In 2014, the presidential elections worsened the situation when two major contestants, current President Ashraf Ghani and current Chief Executive Officier Abdullah Abdullah, did not accept the election results. Then-U.S. Secretary of State John Kerry intervened and the national unity government (NUG) that included both men was formed, creating the post of CEO to accommodate Abdullah in addition to the president’s office that went to Ghani. This carelessly arranged, deal-based government triggered the resurfacing of unmanageable conditions, putting Afghanistan on the brink of current failure. As a result, Afghans have lost trust in elections due to repeated alternative arrangements and disregard for their votes. Holding presidential elections, now scheduled for July 2019, will mean the continuation of the above and probably further deterioration of the security, economic, and political situation, leading to the catastrophic collapse of the Afghan government and state. Elections and peace are both important for Afghanistan, but one must not be sacrificed for the other. A peace settlement, supported by a trusted administration, will pave the way for transparent elections and stable future Afghan state. As the NUG’s term ends in June and elections are postponed, the international community must carefully plan and work with key Afghan leaders in forming a consensus-based interim administration while peace negotiations with the Taliban are underway. The process can be achieved through a Loya Jirga (Afghanistan’s customary grand council of elders and influential people from all over the country). The Loya Jirga may decide on an interim government that would be responsible for holding fair and transparent elections. An interim government may also pave the way for the Taliban to take part in elections after a peace settlement is reached, resulting in an all-inclusive and capable government. Such a strategy would put Afghanistan on a path to stability, making it easier for the gradual withdrawal of U.S. forces. In the meantime, a capable elected administration will be able to fight remaining terrorist groups such as ISIS. The new political set up and future government, as a result, must be supported in the next few years until it can sustain itself. In the meantime, aid projects in developing rural Afghanistan to provide employment and sustainable livelihood must be accelerated to further support the new political set up. Khalilzad’s bold and commendable steps to secure a peace deal with the Taliban must not take place independent of other events and conditions on the ground. The withdrawal of U.S. forces without a solution on the ground — leaving Afghanistan to the mercy of its neighbors — will clearly push Afghanistan back into a center of terrorism, chaos, and anarchy whose effects will be felt beyond Afghan borders and the region. Such conditions would not only waste the sacrifices of thousands Afghan, U.S., and international forces and billions of dollars spent to stabilize the country but would return Afghanistan and the region to the pre-2001 era. Gul Maqsood Sabit teaches business at Ohlone College of Fremont, California, USA. He is former Deputy Minister of Finance in the government of Afghanistan and former President and CEO of Pashtany Bank, a state-owned bank in Afghanistan.